What Precautions when using multiple CMP instruction? Simultaneous use of multiple CMP, each CMP instruction behind the state flag is refreshed immediately, so will not affect each other, it can be connected to the output of the coil to hold CMP flag. 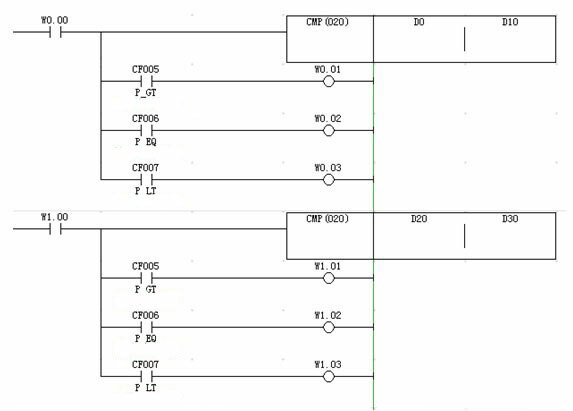 This entry was posted in plc program and tagged CMP, CMP instruction, PLC ladder, PLC ladder diagram, PLC programming on June 20, 2016 by arco.